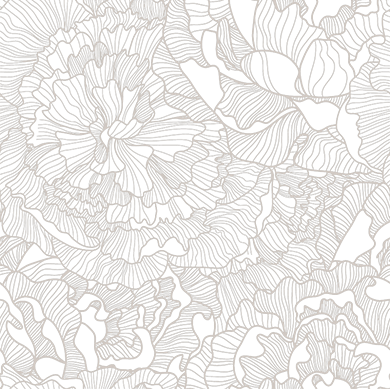 It’s finally spring and a lot is happening. 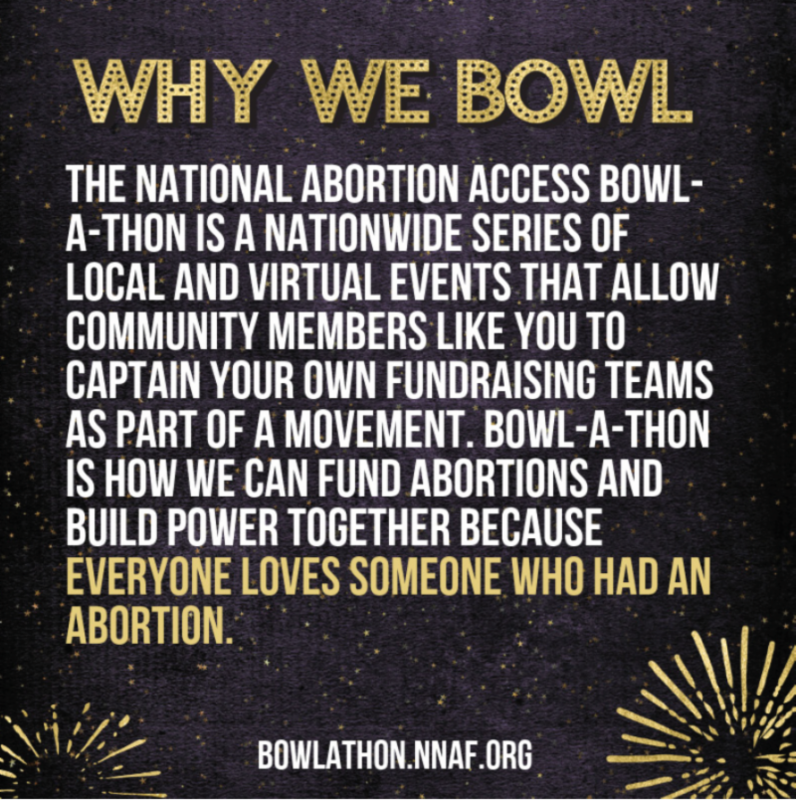 The National Network of Abortion Funds (NNAF) Bowl-a-Thon is a nationwide series of local and virtual events that allows community members (like you) to captain your own fundraising teams as part of the reproductive rights movement. We are the Kansas affiliate of NNAF and participating in our first ever Bowl-a-Thon here in Lawrence. Join us on April 14th 6pm-8pm at our LIVE bowling event here in Lawrence. You don’t want to bowl? Join your friends virtually by donating to a team! This event has an anonymous donor who will match all donations during the week of March 25-31. All donations stay here in Kansas and go to our fund. You heard right. 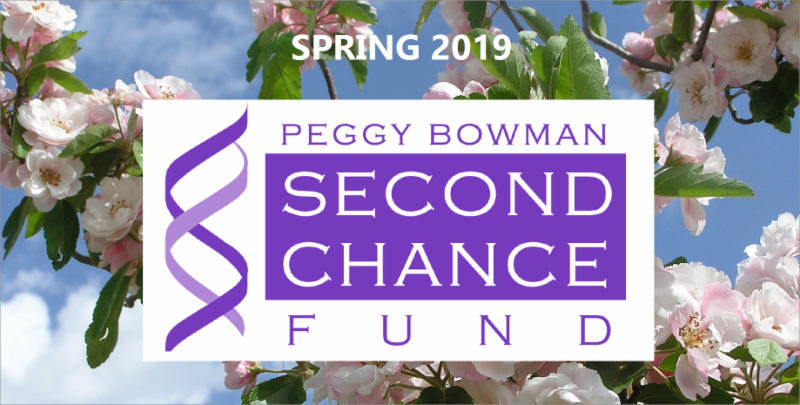 Donate during this week to DOUBLE your gift to the Peggy Bowman Second Chance Fund. We’ve never had such an opportunity before to fund abortion and to build power together. I personally will be giving my yearly donation to our fund during this week and I encourage you to do the same. 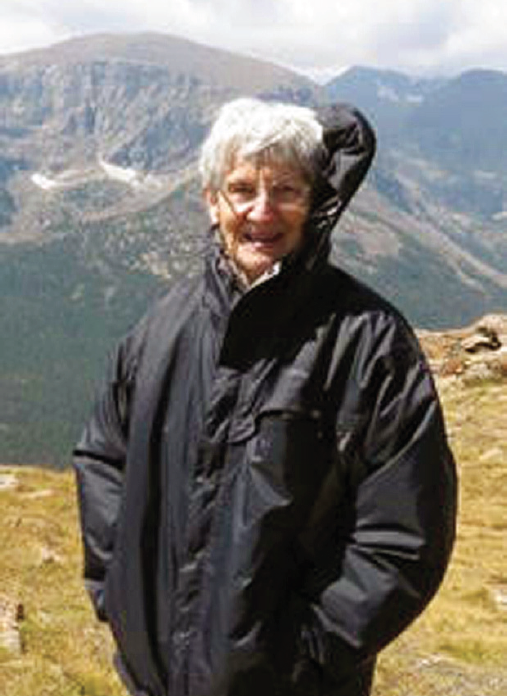 Marilynn has been on the board of the Peggy Bowman Second Chance Fund since the mid-1990s. She has devoted her life to activism, social justice and women’s rights, nationally and locally. “I still don’t know what that meant or quite what he did,” Marilynn says. The doctor sent them on their way, saying Jane would begin to cramp and abort at home. He advised if anything went wrong, to go to an emergency room and say it was a miscarriage. Marilynn and Jane went back to their apartment, and Marilynn helped Jane dispose of the results of the abortion. She was only nineteen years old. Jane was just a couple years older. After finishing college, Marilynn moved to Topeka for her first job as a speech therapist. A year or so later, she and her boyfriend Robert married. He was an artist and art therapist. They were together for over forty-seven years. This was also the year Roe Vs. Wade was decided. “When Roe V Wade passed, that was party time. We thought that solved everything,” Marilynn says, chuckling at the irony. In 1988, she was hired full-time to combine the sexual assault program with the battered women task force, and she worked with clients until 2001. She took a year off, then went to work for three years with the Kansas Coalition Against Sexual and Domestic Violence (KCSDV). These days, Marilynn is the intake person for the Peggy Bowman Second Chance Fund. She fields the phone calls from the clinics when they have questions, and she continues to work for justice and equality. We’re grateful to have her on our board. 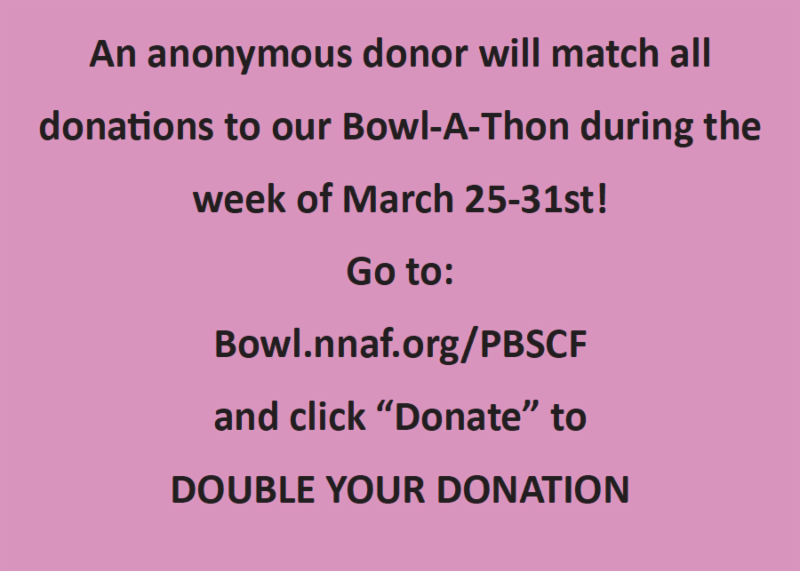 This year, PBSCF has joined the National Network of Abortion Fund’s national fundraiser, the Bowl- A-Thon. PBSCF will host a bowling event in Lawrence, Sunday, April 14, from 6 to 8 p.m. You don’t want to bowl? You can still participate in our Bowl-A-Thon to raise money! Either create your own team in your home-town to raise money with friends and contacts, (you’ll have your own online fundraising page) or donate directly to support abortion in Kansas. There is a national donor who will be matching donations the week of March 25 through the 31st! It’s a perfect time to donate and have your donation DOUBLED, but it must be through our Bowl-A-Thon event. All donations will stay here in Kansas with our fund. We hope to expand the fundraiser next year, and have more Bowl-a-Thons in other Kansas towns. If you are interested in hosting a Bowl-a-Thon in your town in April, either this year or next year, email director@ pbscf.org for more information!